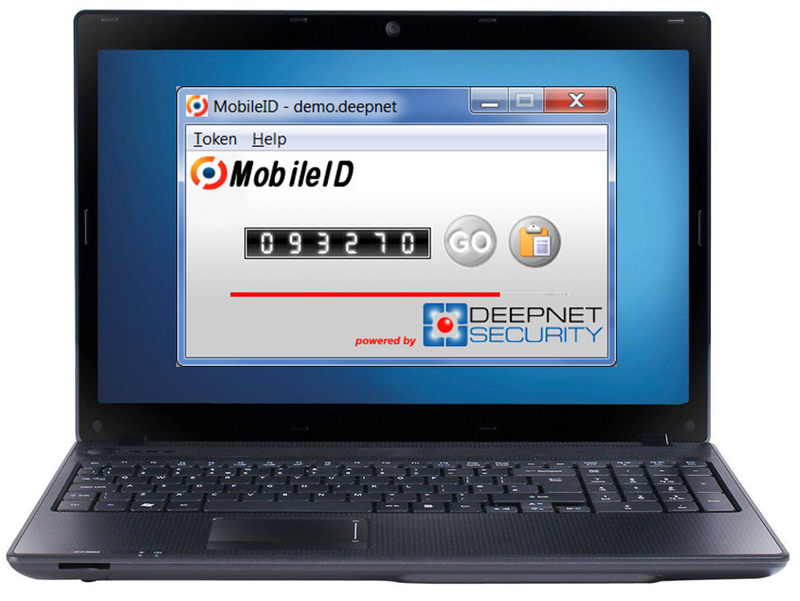 MobileID transforms mobile phones, tablets, PCs and USB drives into One-Time Password tokens. 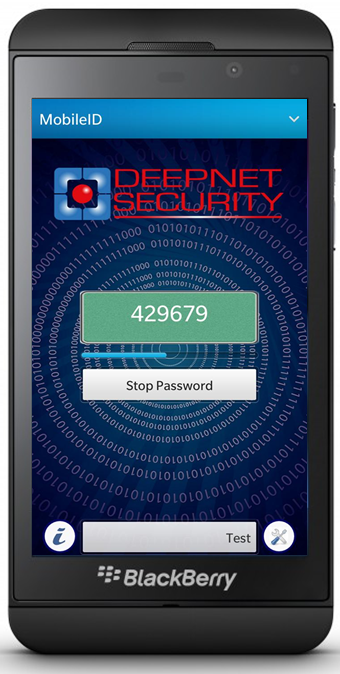 It is a small app that runs on your mobile devices and generates one-time passwords for strong two-factor authentication. Mobile phones have become an inseparable part of peoples' lives. 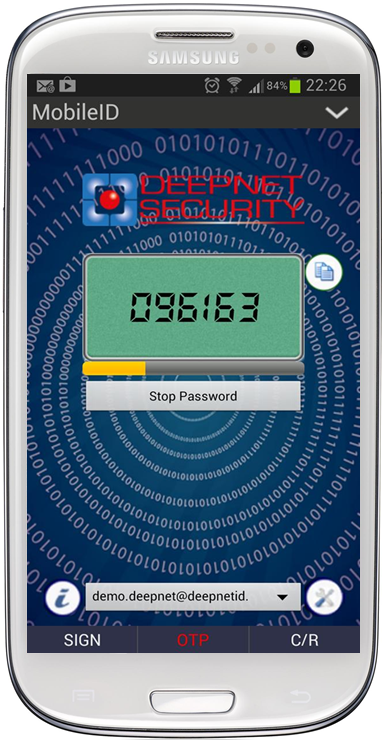 Using the mobile phone as a secure token frees the users from carrying dedicated token device. MobileID is the ideal replacement to the conventional one-time password hardware tokens. MobileID is a small app available in all app stores, such as iPhone App Store, Android Market and Blackberry AppWorld. In one click, users can install MobileID on their mobile phones. Organisations can also simply push MobileID to their users' phones by SMS messages. Once the MobileID is installed on a phone, it works like a conventional hardware OTP token. It generates one-time passwords whenever and wherever you need it, without the need for Internet or data connection. It is portable, convenient and free! Unlike other OTP based authentication solutions that offer only one-way authentication, MobileID employs a patented technology and delivers a strong two-way and two-factor authentication(2x2) - the user and the service can be mutually authenticated. In the authentication process, a pair of one-time passwords (OTP) is used to authenticate the user to the service as well as the service to the user. MobileID can also be configured as a Challenge-Response token. At logon, the user is asked to enter a Challenge Code provided by the service application, and the user will use the MobileID to generate a Response Code and enter it to authenticate the user to that service. Challenge-Response authentication provides additional security to the simple OTP authentication. MobileID is also a Out-of-Band authentication client. It implements OOBA over mobile data networks - Mobile Push. 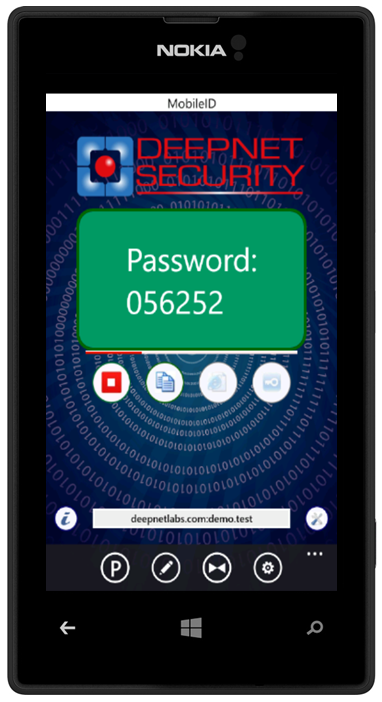 It is not only very secure, but also very easy to use - Authenticating with Mobile Push is as easy as pressing a button on your smart phone. The user's credential data in MobileID is encrypted with the device fingerprint, and locked to the user's mobile phone device, preventing it from being copied or stolen. In addition, MobileID is protected by the user's PIN. In the case of the user's mobile phone been lost or stolen, an additional PIN can be set by the user to stop the MobileID from being operated by unauthorised persons. MobileID is fully compliant with the algorithms set forth by Open AuTHentication (OATH) and implements event-based HOTP, time-based TOTP and challenge & response ORCA algorithm proposed as a standard within the IETF. 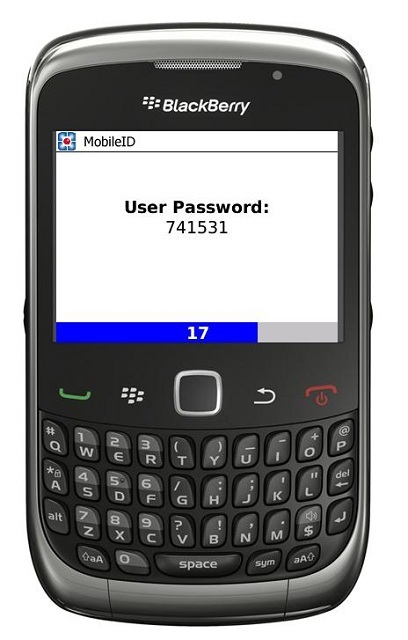 MobileID supports all types of mobile phones, from smartphones such as iPhone, Android, Blackberry, Windows Phones to any ordinary phones that are JAVA enabled such as Blackberry OS, Windows Mobile, Nokia. MobileID also supports desktop and laptops including Windows OS, MacOS and Linus OS.